MAC Cosmetics was established in the region of Toronto, in Canada during 1984. Frank Angelo and Frank Toskan were the proponents. The first store was inaugurated in New York in 1991. Initially, their products for make-up were targeted and designed to be used by the professional artists engaged in make-up business. However, at present the products are also available for customers throughout the world. They took the industry into a tizzy with their make-up products, targeted towards the glamour industry. In 2011, Warner Bros. Consumer Products declared that the iconic heroine of DC Comics', Wonder Woman, will be teaming up with them and create a collection of make-up cosmetics. There are currently 2 consumer reviews about MAC Cosmetics available. Share your review. These Mac artists named Pinyo Verdusco, Mallory Garcia, and Holly Trann from the oak ridge mall Mac counters have emotionally cyberbullying me. It all started when I went to a Mac event for the relaunch of Marilyn Monroe collection. I was there to watch and enjoy the other artists since I'm an makeup artist myself. Everyone from the event were genuinely nice and has acknowledge me. The location was at Serramonte mall, but it was the 3 artists who came to help out for the event. To get to the point, the artist names pinyo or I think named Joshua asked me "oh what kind of makeup do I do?" And I said "any kind but I prefer editioral" then he said "oh well show me and do one eye makeup on me!" He caught me off guard and I didn't really want to it because I wasn't prepared and I was nervous but I didn't want them to think I can't do it. They were genuinely nice and gave me advice/tips on the look. I wasn't fully done because I didn't have much time at the moment. So he says take picture and tag me on Instagram which is a social media. When I got home I post the picture and tag him and he comment "oh nobody likes it" "can you delete it" so I did. Then I saw his post a picture with me and him on it and hashtag me saying #tagswillmakeherdance #youhavebeenblocked #stalker #arrested etc. when I noticed I got blocked his friend Mallory and holly were insulting me and I felt they cyberbullying me and they supposedly representing Mac cosmetics. This is not some bad customer services ok this is straight harassment towards me as a customer who have a photo of me and calling me names and laughing. I want these 3 artists to be terminated from the company. I have never seen this kind of behavior since high school and they are supposedly be professionals. I'm a great consumer to this company and still will be but as goes for those employees shouldn't represent this company. Please take a note that you are about to post a public review about MAC Cosmetics corporate office on CorporateOffice.com. This review will be public, so please do not post any of your personal information on this website. 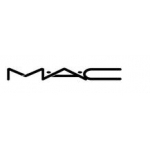 If you would like to contact the corporate offices of MAC Cosmetics, please use their contact information such as their phone number, website, and address listed above to contact them. However, sometimes staff from MAC Cosmetics headquarters do read the reviews on this website.